Picture to Portrait: International, here we come! As stated below, I am hoping to create another LDS temple calendar with all international temples. Here is one of my first temples from Colonia Juarez, Chihuahua, Mexico. My sweet husband grew up down there. They opened this temple back in 1999. 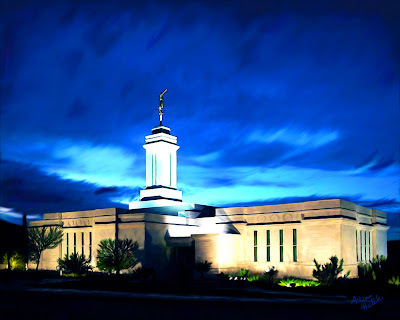 Every time we go down to visit my in-laws, I love getting to see the beautiful temple nestled up on the hill. Not sure if it is just because my hubby is from there or what, but I always have such a special feeling every time I get to go there. If you've never been there, you ought to check it out. It is unlike any other place I've ever been. Hooray for the Colonies!